While I’m definitely not a fashionista when it comes to “real life” clothes, I’ve always been really into riding clothes. There’s just something way more satisfying about a great #rootd, ya know? 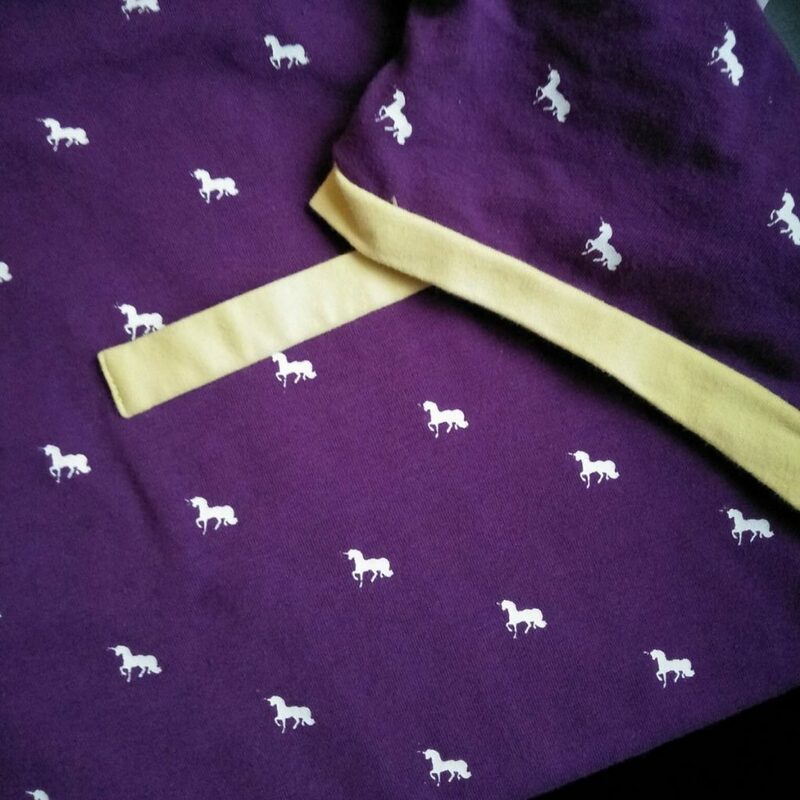 I like things that are a little bit different though, which can be hard to find in the equestrian world where uniformity has been the name of the game for… ever. So when I come across cool new brands that aren’t afraid to stand out from the crowd, I tend to get excited. And when I get excited, things tend to just magically show up in my closet. Such was the case with Sweet Iron Co., a brand out of Australia. I first came across this brand early this year on Instagram. They describe themselves on their website as “Australia’s newest equestrian apparel brand. Bright, funky and fresh clothing with no snobbery or ridiculous prices. Available in sizes 6 – 20 (Australian).”. I can definitely relate to that, except for maybe the bright part. Don’t worry, only a few things are bright. But they do have cool, subtly funky designs, a huge size range, and affordable prices. And if you’re ready to be put off by the whole overseas thing – shipping to the US was free and took about a week. You can’t beat that. 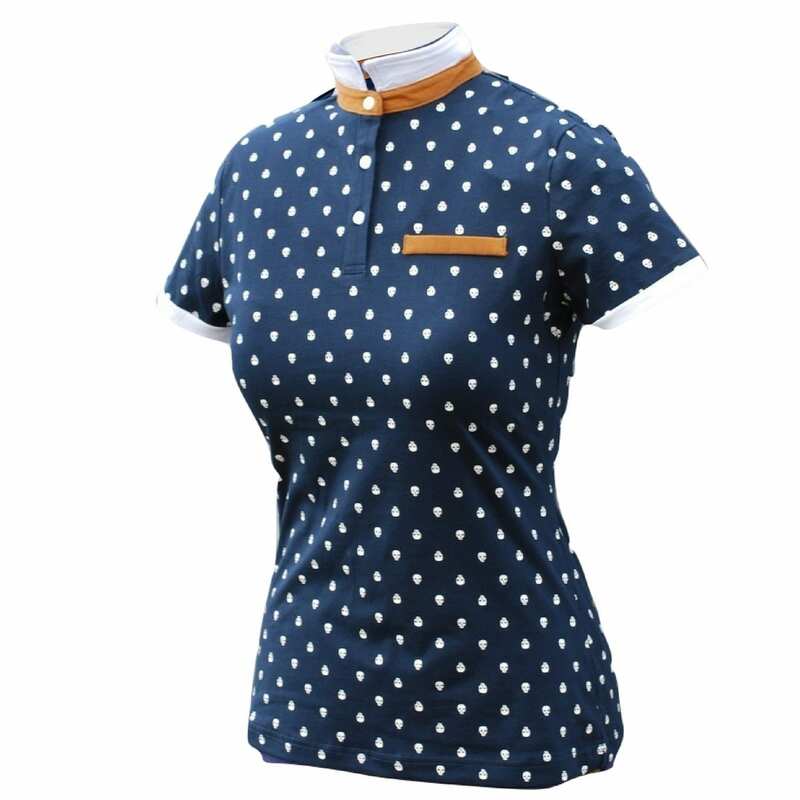 Originally Sweet Iron caught my eye with a couple of really cute polo shirts that had a skull pattern on them – I’m a big fan of skulls. I wasn’t sure if I was ready to bite the bullet yet though, so I just followed their account and kept an eye on them. Their product line kept growing, expanding to more polo designs, then eventually adding gloves and now long sleeve shirts. At that point, I was done for. Not only did they have gloves with a skull print, they made a houndstooth long sleeve. I can’t resist a good houndstooth, and I love long sleeves. So I bought some black breeches to make an outfit work, because of course I did, and then finally caved to the funky Australians. It’s always sketchy trying to guess at sizing based off of a size chart, but I’m happy to report that theirs is quite accurate. I’m a medium Kastel, bust of about 36″, and ordered the size 12. It fits perfectly. A little bit of breathing room, but it’s not baggy. The cut is really nice for the female figure, not boxy at all, and it has enough tail to tuck in without being crazy long. I’ve had this belt for a year and never been able to wear it because my entire wardrobe was comprised of navy, brown, and green. The shirts are made so that the collar can be worn two ways – folded over like a polo, or popped up for a more formal look. I like that their designs are a bit funky without being too “in your face”. I am not a fan of a crazy bold or bright pattern, so I like that they have shirts with skulls and unicorns and the like, but that you wouldn’t really even know it until you got up close. It enables you to be a little weird without being over the top tacky about it. I can appreciate that a lot. The gloves are right up my alley too. 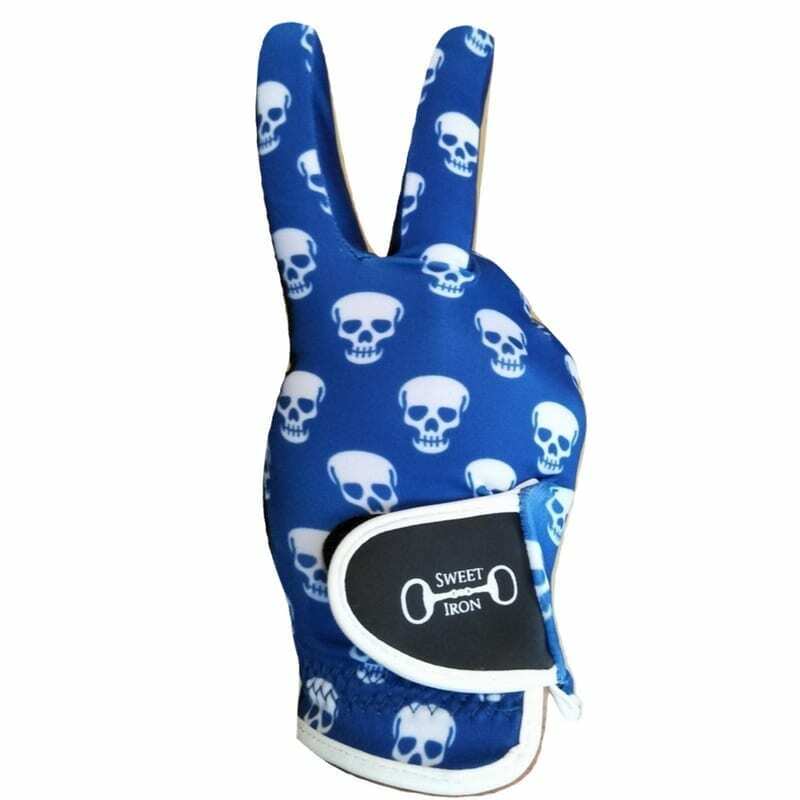 I don’t know why, but something about putting skulls on the gloves just gives them a fun, badass feel. I have really big hands so I was a little nervous about fit, since they only have the sizes available as medium and large. I typically wear an 8 Roeckl and the Sweet Iron size Large fits, but barely. The back is stretch lycra, so that does give some flexibility in the fit. The material on the palm is actually pretty similar to the Roeckl – a cell phone friendly, grippy synthetic. The other two great selling points of the brand are the size range – the shirt’s bust sizes range from 31″ to 47″ – and the price. 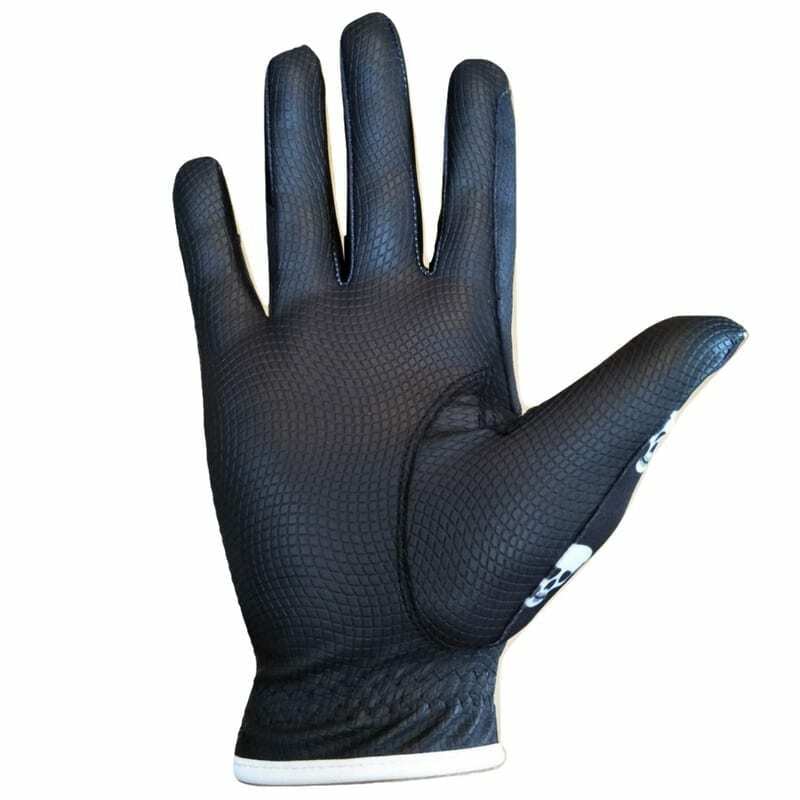 With the short sleeve shirts coming it at $49, the long sleeves at $59, and the gloves at $35 (with free shipping, mind you! ), everything is super affordable. You don’t have to feel guilty indulging your slightly funky side, since you’re not spending stupid amounts of money to do it. They’ve also got other accessories like stock ties, pins, hats, and socks, and have more stuff added to the line quite regularly. I know some new breeches and tights are in the works. 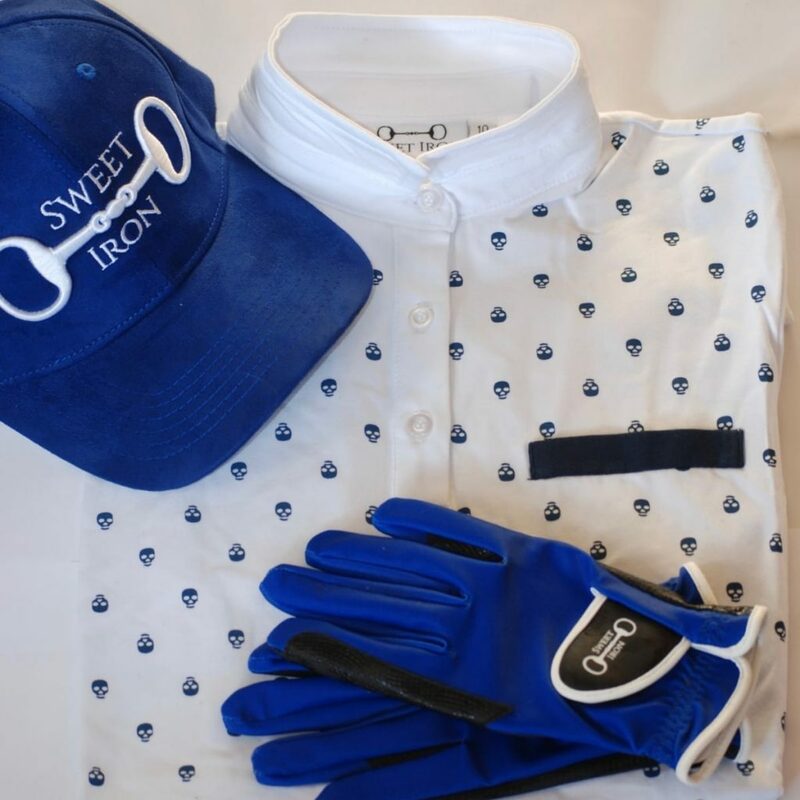 If you’re looking for something a little different that won’t break the bank, I would recommend Sweet Iron Co for sure. I mean, who doesn’t want a unicorn stock tie, or skull gloves, or a rad houndstooth shirt? Ok, maybe some people don’t… but I sure do. I thought that was a new outfit last week and thought hmmm wonder if she bought more clothes. Stupid question. The gloves are cute and i love the hat too!! And – If you spend $80 you get free socks! I really really like that navy skull top. Even though I have no navy. And the damn gloves. And the white skull top. Or just all of it. Yeah… I bought the houndstooth and the unicorn one last week when I asked you about them, and they already arrived! I couldn’t believe how fast that was.